May 25 is Africa Day. This year it is somewhat special – 55 years ago the Organization of African Unity (OAU), known as African Union (AU) now, was established. It comprises all the continent’s states, except for Morocco. In the past 55 years, Africa has undergone and is still undergoing terrible ordeals on the way to true independence. The 1960s saw the beginning of the collapse of colonial empires in Africa. 1960 is called “the year of Africa” because 17 countries gained independence. Only two African countries – Ethiopia and Liberia – have never been colonies, while the rest (53) were under a yoke of parent states. The latter were Britain (18 colonies), France (16), Portugal (4), and Belgium (1). Britain and France understood that the time of colonies was over after World War Two. The British saw it when India gained independence in 1947. France was letting its colonies go almost painlessly. The exception was Algeria, where the war of independence lasted for as many as eight years until 1962. Kenya and South Rhodesia (now Zimbabwe) were the British colonies that fought hard for their independence. Portugal was very unwilling to grant independence to its colonies Angola and Mozambique. They waged fierce wars, in which racist South Africa was the main impact force. The Organization of African Unity (OAU) was established on May 25, 1963, in Addis Ababa, Ethiopia, to help the countries that fought for independence, lobby their interests in the UN, and make further efforts aimed at the final decolonization of Africa. It was a purely political organization. Accordingly, it is political problems that the OAU mostly addressed at that time. The OAU was established in a period when the Cold War was in full swing, with the West (US, Europe), on the one side, and the USSR and China (with a war of their own), on the other. Africa turned into the ground for a global confrontation of the two worlds. The cold war often grew into a hot one. The young African countries, which had just gone out of colonial dependence, sought reliable geopolitical support and prospects of their development. This is what the Soviet Union, which had never had colonies in Africa, promised them. Soviet ideologists suggested that they build socialism without going through the stage of capitalism – the so-called non-capitalist way of development. Many countries endorsed this seemingly attractive idea. The greatest adepts of it were Egypt (Gamal Abdel Nasser, Hero of the Soviet Union), Algeria (Ahmed Ben Bella), Ghana (Kwame Nkrumah), Guinea (Sekou Toure), Somalia (Siad Barre), Kongo – Kinshasa (Patrice Lumumba), Angola (Agostinho Neto), and others. They copied the first steps of the USSR – nationalization, collectivization, a single ideology, a single ruling party, etc. This did the countries no good. They all saw a series of uprisings, plots, coups, and murders of leaders. The theory of a “non-capitalist way of development” flopped. The struggle for independence continued. Angola and Mozambique won independence in 1975 after the Carnation Revolution in Portugal. Racist South Africa could not tolerate a neighboring country that proclaimed building socialism. The South African Republic’s army, well equipped by the West, began an aggression against Angola which basically had the experience of guerrilla warfare. The USSR helped it, furnishing arms, medicines, food, and military advisors. But it was not enough. Fidel Castro personally decided to help his blood brothers and sent 300,000 soldiers to Angola. In the Battle of Cuito Cuanavale in 1988, 40,000 Cuban soldiers stopped and then routed the racists. This battle, referred to as “African Stalingrad,” changed the course of events in southern Africa. Ukrainians also took part in those battles. Many of them were killed, which is a little-known fact. Participants in the war for the independence of Portuguese colonies formed their organizations: the Union of Ukraine’s Angola Veterans and the Union of Ukraine’s Mozambique Veterans. The defeat in Angola undermined the regime of apartheid. Their stronghold, Namibia, also won independence. In 1994, Nelson Mandela, a black who had served 27 years in prison, was elected president of the South African Republic. This event marked the end of the long and bloody process of Africa’s decolonization. New times came. The USSR sank into oblivion. The OAU had accomplished its historical mission – Africa countries became irreversibly independent. New, no less difficult, tasks came: to ensure economic growth and guarantee, on this basis, the ever-increasing public wellbeing. This created endless problems. There was no national industry; the vast majority of the population worked in agriculture, where even slash-and-burn cultivation was used; there was no national professional community; there was no reliable transportation within the region, which made it impossible to establish economic ties among countries; the overwhelming majority of the population was illiterate; medical care was very poor – poverty reigned supreme. That was the legacy of colonialism. Only the mining industry, mostly run by foreign companies, was developed. Colossal mineral resources were the only thing in abundance. Africa is a global treasury of sorts – especially in the 21st century, when there is going to be a rivalry not so much for oil and gas as for rare-earth elements, without which modern-day electronics is impossible. What hindered the solution of economic problems was the never-ending struggle for power throughout the 20th century: civil wars, coups, mutinies, and rampant corruption. Political life gradually normalized, and power began to be transferred by way of elections in most countries. It was also gradually understood that poverty could not be done away with unless joint efforts were made. Muammar Gaddafi, leader of the Libyan Jamahiriya, actively endorsed this idea. He proposed establishing the United States of Africa with its own currency – afro or golden dinar. But after Gaddafi was killed in November 2011, Libya ceased to exist as an influential state. The whole Sahel was destabilized. But the idea of unification in the face of new challenges and goals was becoming more and more topical. At the 38th (last) session on June 19, 2012, in Durban, South Africa, the OAU was reformatted as the African Union (AU). The forum approved the New Partnership for Africa’s Development (NEPAD), sort of an “economic constitution” of Africa. Its top priorities are the infrastructure, the technology of communication, health care, and agriculture. To this end, it is necessary to achieve a 7-percent annual economic growth rate. The UN, the WTO, the EU, and the G8 have supported the program. It will take 64 billion dollars to implement it. But Western states are not exactly rushing to share their money. Nor do African countries have it. Particularly, even the decision to spend 1 percent of GDP on maintaining the AU is not being fulfilled. It is the European Union that in fact funds the AU. Today, two dominant conflicting tendencies determine the development of Africa – the turning of Africa into a single economic body and expansionism of China. In other words, on the one hand, African countries are struggling to strengthen their independence and economic positions and to gradually turn the continent into a self-sufficient and influential player of world politics. A lot of problems remain as a legacy of colonial times, such as local conflicts, radical Islamist terrorism, corruption, and weakness of democratic institutions. All this superimposes on the three problems of the continent. The first is the growth of the population: the UN estimates that it will reach 2.3 billion in Africa by 2050. In Nigeria alone, it will be 450 million, with 70 million in its former capital of Lagos. As much as 63 percent of the population will live in cities. Jobs are needed – in other words, industrialization is an urgent problem. The second problem is migration as a consequence of the first one – in search of a job and a better life in general. The main destination of migrants is Europe which is making a lot of efforts to curb it, without, however, willing too much to bear serious financial expenses. And the third one is climate change. The Sahara is extending southwards. Nomadic tribes are upstaging settled grain-growers, which provokes bloody clashes. The problem of water is more and more acute. All this slows down the implementation of the African Union’s ambitious projects. But, in spite of all difficulties, the tendency towards turning Africa into a single economic body as a guarantee of a reliable future is getting the upper hand. 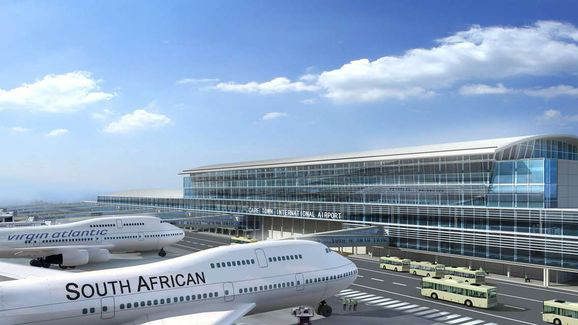 In late January 2018, the Single African Air Transport Market began to function. Following the 15-year-long negotiations, 44 countries signed a treaty on the African Continental Free Trade Area on March 21, 2018. Nigeria, South Africa, and nine more countries announced the necessity of additional consultations inside the countries. It is the second most important event of this kind after the establishment of the World Trade Organization. The single African passport in five languages – English, French, Portuguese, Arabic, and Swahili – is already being issued, first to heads of state. The African Union has urged its member states to switch to 4G immediately. Benin, a small country with a population of 11 million, has already planned to take this step within three years. Nuclear power plants are being built. Several countries already have national space agencies, and the first African astronaut is being trained. Africa is more and more aware of and actively struggling for its place in the world. At the same time, what is hanging over the future of Africa is the intention of economically strong countries to capture African markets and have reliable access to Africa’s deposits of, first of all, rare-earth minerals. As part of this tendency, competition between the interested parties is intensified with every passing year. China is the undeniable leader. By March 2018, it had built 6,500 km of railways, 6,000 km of highways, 200 schools, 80 stadiums, 9 seaports, 14 airports, 34 thermal power stations, 10 powerful hydroelectric stations, and 40 industrial parks. A total of about 10,000 Chinese companies are working in Africa. Gen. Thomas Waldhauser, head of the US Africa Command (AFRICOM) says: “While we are talking and promising, the Chinese are building shopping malls and stadiums.” China is tying Africa up tightly with economic chains. The main instruments are loans and investments. Angola exports 60 percent of its oil to China in order to pay off loans. The “Celestial Empire” accounts for 50 percent of Kenya’s foreign debt. China has pledged to connect all African capitals with railways in 15 years’ time. The AU headquarters in Addis Ababa is a gift from China. China views Africa as an important component of the Great Maritime Silk Road. To protect it, they commissioned the first out-of-China naval base in September 2017 in Djibouti (near the Americans). The US is putting emphasis on traditional military force. The abovementioned AFRICOM has its bases in 24 African countries. But none of them agreed to host its headquarters – it is located in Stuttgart, Germany. The African Growth and Opportunity Act (AGOA), passed in 2000, declares Africa a zone of US strategic interests. The US imports from Africa 100 percent of chromium (South Africa, Zimbabwe), 65 percent of cobalt (Democratic Republic of Congo, Zambia, Botswana), and 50 percent of manganese (South Africa, Gabon). European countries are trying to keep their positions intact. President Emmanuel Macron of France paid his first foreign visit to Africa. The European Union is reinforcing its investment policy in Africa to reduce the flow of migrants from these countries. Russia is actively restoring its positions. Wagner mercenaries were recently deployed to guard the president of the Central African Republic, which greatly surprised the French. Turkey is also showing a greater activity. President Recep Tayyip Erdogan has paid 39 visits to 24 African countries since 2004. What is worthy of respect is a lively activity of Belarus in Africa under the personal control of its president. The leaders of India, Japan, and Israel also regularly visit Africa. Ukraine is missing from this list. None of its presidents and prime misters has visited Africa. Incidentally, in 2015 the aggregate trade of Ukraine with African countries was worth 4.4 billion US dollars, of which the export of Ukrainian goods accounted for 3.8 billion dollars. On June 22, 2016, Ukraine was officially granted the status of observer at the African Union. Africa is becoming again a ground for competitions – this time of not ideologies but of politics and capitals.